The 2017 AIBA Youth Women’s World Boxing Championships will take place between 19-26 November in the eastern India city of Guwahati, with the tournament ready to shine a light on the next generation of talented young female boxers from around the world. While many of the 193 registered boxers from 39 countries will hope to be beginning their journeys to the Tokyo 2020 Olympic Games, those born in 2000 and competing at Flyweight (51kg), Featherweight (57kg), Lightweight (60kg) and Middleweight (75kg) will also be chasing a quota place for the Buenos Aires 2018 Youth Olympic Games. AIBA has been responsible for the rapid development of Women’s Boxing since the first elite World Championships back in 2001, working to give women the opportunity to compete at the highest level and, more recently, for their inclusion in the Olympic programme for the first time at London 2012. In that time, the sport has seen new legends written into its history, with the likes of Mary Kom, Nicola Adams, Katie Taylor and Claressa Shields providing inspiration for many of those heading to Guwahati with dreams of following in their idols’ footsteps. “The Boxing Federation of India is delighted to host the AIBA Youth Women’s World Championship. The Championship will provide the stage for these brilliant young women to show that they have what it takes to handle the pressure, win international gold and possibly take a first step on the long road to an Olympic Games. 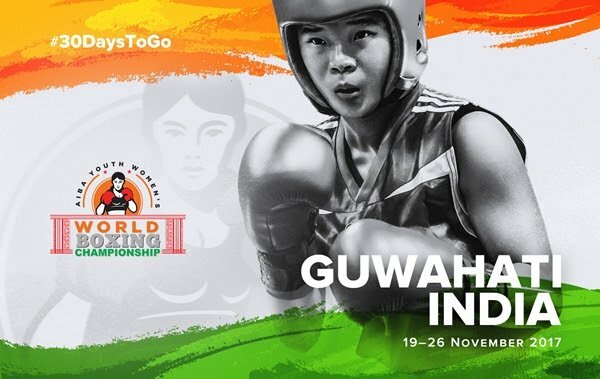 There is real quality and talent among the teams coming to Guwahati, and as well as giving us a glimpse of bright future Elite prospects, their presence will provide further encouragement to the young Indian women hoping to follow the example of our own five-time World Champion Mary Kom,” said BFI President Mr Ajay Singh. The Indian squad will indeed be looking to build on its impressive haul of three golds at the Junior World Championships in Taipei two years ago as the class of 2015 graduates to the Youth level. The Ireland, Italy, Kazakhstan, Russia and Ukraine teams all have large squads of eight or more heading to India, while the Middleweight rivalry of Anastasia Shamonova (RUS) and Karolina Makhno (UKR) is one of several highly anticipated potential match-ups. Chelsey Hejnin may be the only member of the Netherlands squad making the trip, but has already shown her huge potential at Light Welterweight, while the ASBC nations China, Korea and Vietnam will all be eyeing up podium finishes. The England, France, Hungary and USA teams are set to use the tournament as a first opportunity to assess potential Olympians for Tokyo, where five weight classes will now be open to the Elite Women, with American Heaven Garcia (51kg) one of several athletes hotly tipped for a bright future.